What's in a name? Or a number for that matter? Quite a lot it seems these days. 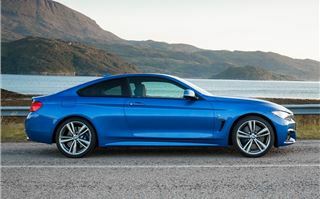 Not content with calling the two-door version of its latest 3 Series saloon the 3 Series Coupe, BMW has decided it's time for a rebrand. 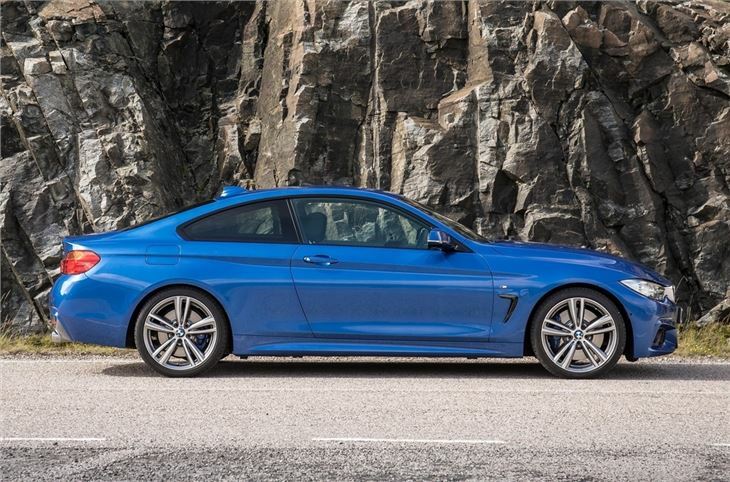 Step forward the BMW 4 Series. 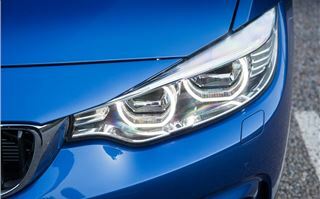 So yes, it is a new series from BMW but essentially that's in name only. 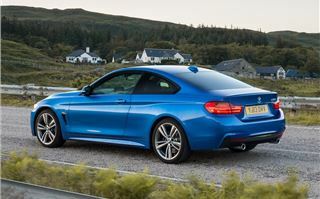 This is in reality the successor to the 3 Series Coupe. Still it's no surprise to see plenty of styling similarities with the 3 Series. 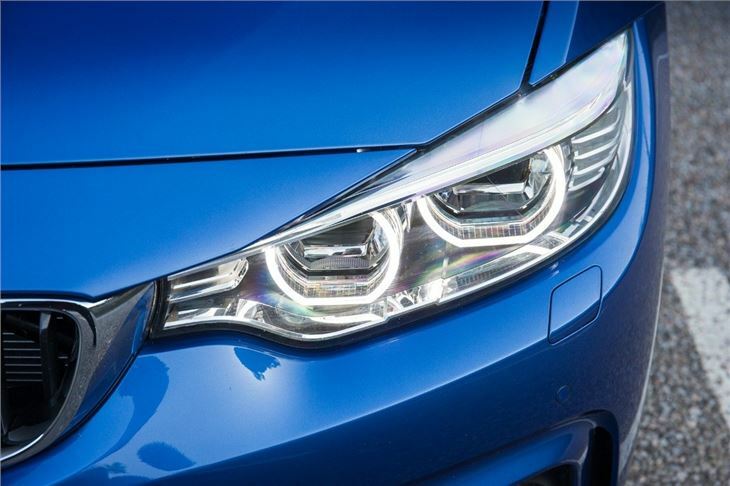 The 4 Series has the same aggressive front end and angular headlights, while the trademark BMW twin rings looking especially menacing. 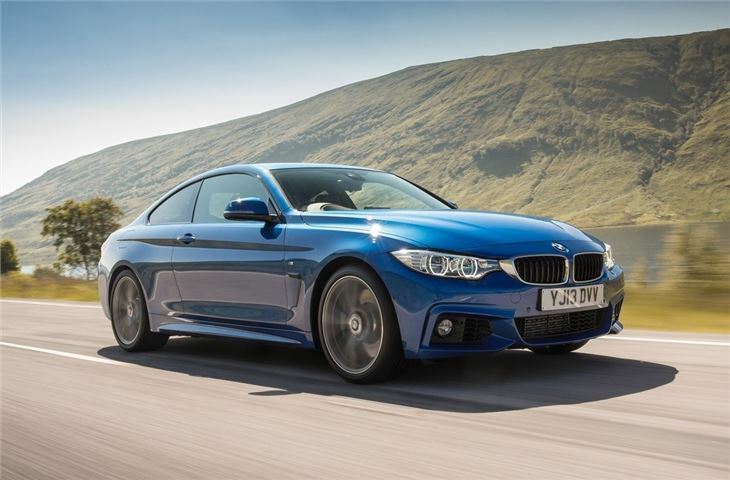 The car in our pictures is in M Sport trim and gets beefier styling. It also includes a lower front bumper and a rear diffuser - plus it's the only trim level available with the Estoril Blue metallic paint - but even the other models look striking. 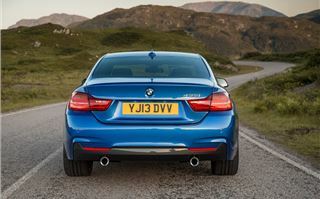 It sits lower to the ground and is longer than the 3 Series Coupe, with a swooping roofline and shorter rear boot deck. We think it's a real success. Some of BMWs modern designs haven't quite hit the mark (the jury is still out on the revised 1 Series...) but this 4 Series looks great from every angle. 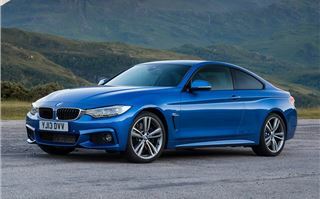 And crucially it's different enough from the 3 Series to justify the new badge number. 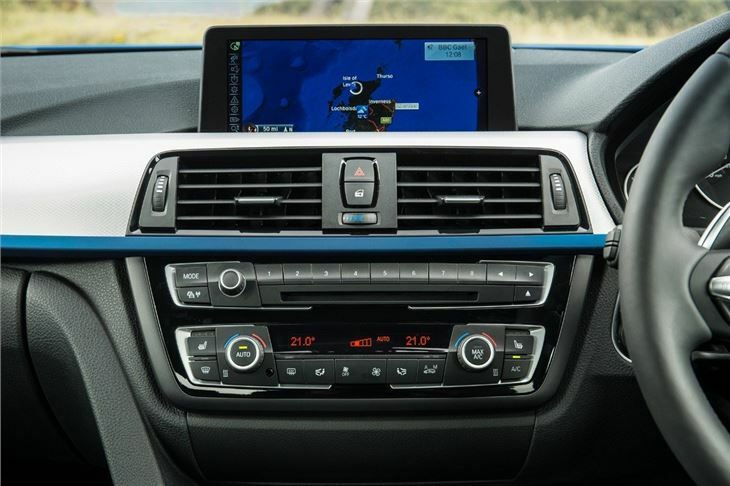 Inside it's very much BMW business as usual, with a high quality finish and well laid out controls. 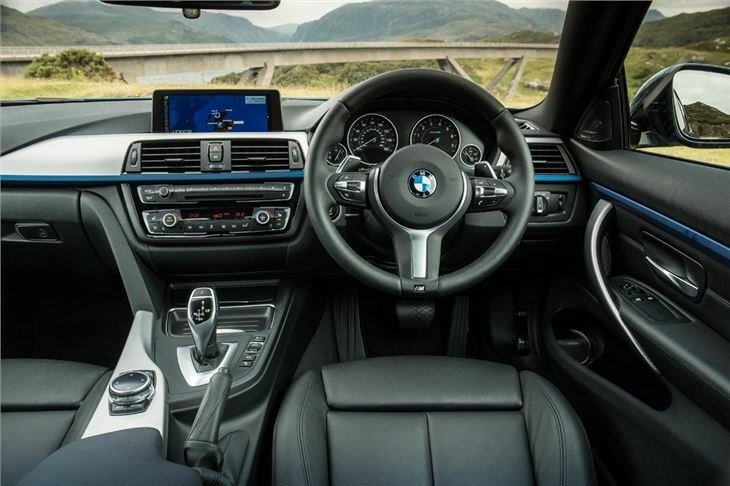 You sit low down while the high central console and sports steering wheel help to make the 4 Series feel that extra bit sporty and a little bit special. 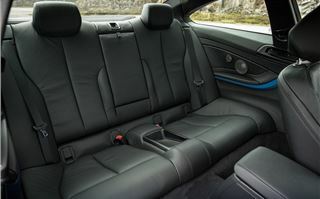 The seats are mightily impressive too, with loads of adjustment and good side support for when you decide to throw it round a few corners. 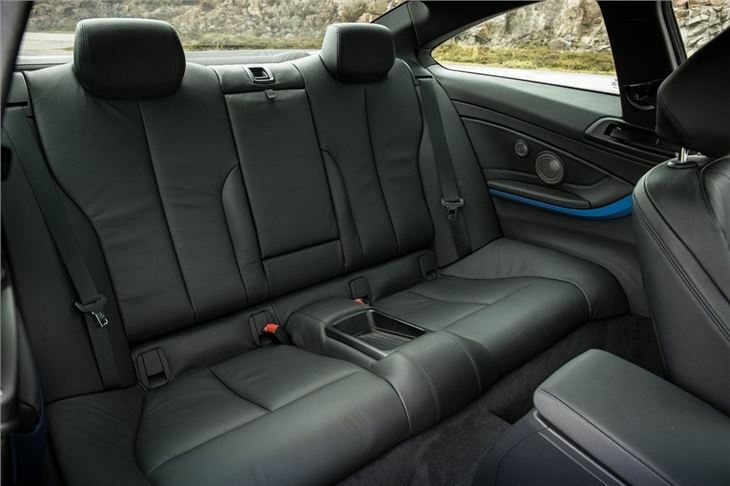 Of course there's not too much room in the back, but it's pretty good for a coupe of this size and more spacious than the old 3 Series Coupe, helped by a longer wheelbase. The seats have apparently been designed to look like two individual seats - we can't really see it ourselves - but they are surprising comfortable. 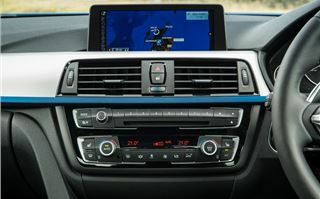 All models come with the iDrive system, which now has a larger control dial and a sleek 6.5-inch screen on the dash top that is cleverly designed to be seen, even in bright sunlight. In terms of engines you won't be surprised to find the 4 Series follows the 3 Series range. 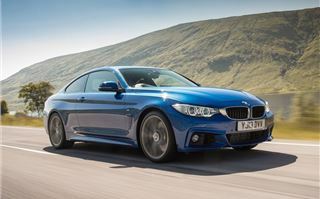 So from launch in October 2013 there will be a 420d, a 428i and a top of the range 435i. The 420d is expected to make up a third of all cars sold and it certainly makes the most sense on paper. It has 184PS plus plenty of poke with 380Nm of torque and yet impressively will average 60.1mpg according to the official figures. That's with the standard six-speed manual gearbox, but opting for the excellent eight-speed automatic, which suits the 20d engine really well, sees this improve further to 61.4mpg while CO2 is 121g/km - frustratingly close to the 120g/km limit which would mean £30 a year tax. The 420d will offer plenty of performance for most and it's suitably quiet, even when you push it hard. Not that you need to - it's pace comes from its low down pulling power. 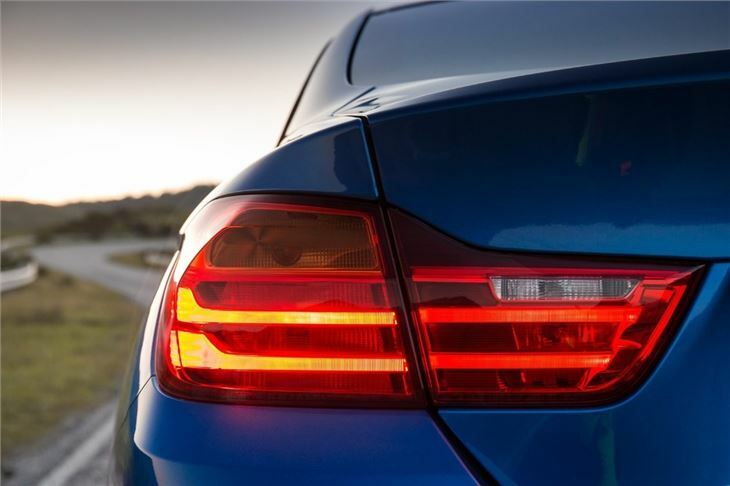 At the other end of the scale is the sublime 435i - the twin turbo version of BMW's six-cylinder 3.0-litre engine. It's stunningly fast with a 0-62mph time of just 5.1 seconds and sounds superb, especially with the auto box at high revs. Those neat twin exhausts sound great on start up too, with a deep throaty burble. 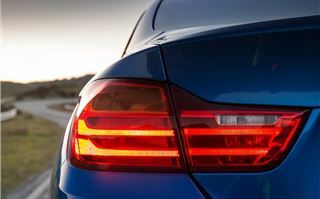 Shortly after launch BMW will introduce the 420i, 430d and 435d with more engines coming next year. 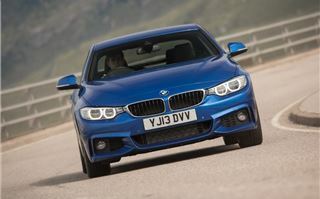 There will also be xDrive versions of the 420i, 420d and 435d available - making them a strong rival to the A5 quattro. While BMW is keen to promote the 4 Series as more dynamic than the 3 Series, in truth it's very similar to drive. That's not a bad thing of course. 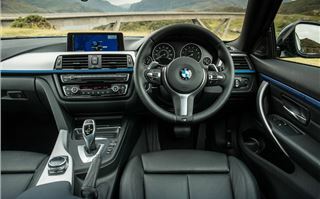 It means the 4 Series has nice weighty steering - although the thick-rimmed wheel won't be to everyone's taste - and superb front end grip. It's a real joy to flow from corner to corner with that rewardingly precise feeling through the steering wheel. One criticism is the ride. The fact the 435i we drove was on optional 19-inch wheels didn't help, but in Sport mode - which stiffens the damper settings - it was not a pleasant experience on below par roads. Sticking it in Comfort mode is better, but still far from comfortable. We drove a 420d on 18-inch wheels and that was noticeably better but again not exactly forgiving. So what about value for money? 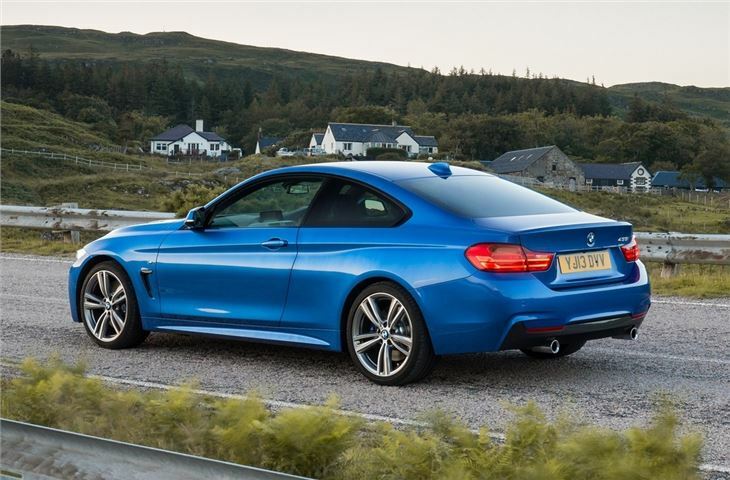 Well compared to the outgoing 3 Series Coupe prices have risen. 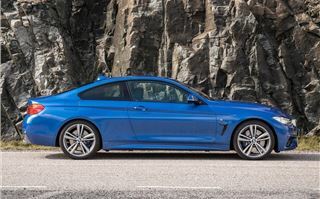 A 420d is £540 more than the 320d Coupe it replaces but then the 4 Series is considerably better equipped with things like heated and electric seats as standard. Total up the value and the 420d actually has £1475 worth of extra kit fitted. As desirability goes, the 4 Series is right up there alongside the Audi A5. It's a great bit of BMW design and there's not a duff engine in the line-up - every model gives impressive performance. With the convertible and M4 versions in the pipeline, the 4 Series will have few problems emulating the success of the 3 Series Coupe.